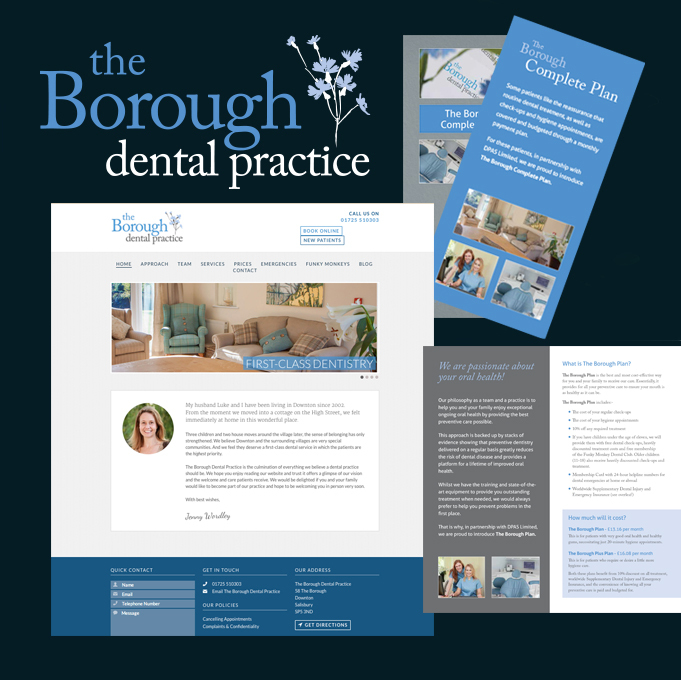 Jenny and Luke Wordley approached Profile Design back in 2012 to brief us about branding The Borough Dental Practice a new dental service in Wiltshire. The clients were keen on creating a brand that was friendly and approachable whilst still looking clean and professional. Based in Downton, near Salisbury the practice is located in The Borough (main road) hence the business name. The Practice opened in November 2013 and has been an amazing success, with a quickly expanding client base and an expanding team of staff. Once the logo design was agreed we quickly established some branding guidelines that were applied to a new brochure design, a range of leaflets and flyers and of course a new website.